Einhorn Insurance -Einhorn Insurance provides all forms of insurance (auto, renters, home) regardless of breed. They will donate a portion of the proceeds of any new policy to OCPBR! Please mention us when purchasing your new policy. Newport Mesa Animal Hospital https://nmah.vet for boarding only. Paws Pet Resorts has two locations – one in Lake Forest and one in San Clemente. Their services include the finest in overnight boarding, doggie daycamp, training and grooming and they take dogs with all levels of socialization. Support us on Amazon by going to https://smile.amazon.com with your Amazon account and select OCPBR as your charity and shop going forward on smile.amazon.com and they will donate a portion of your purchase to us (not eligible for use on the Amazon app). iGive https://www.igive.com/welcome/lp16/cr64a.cfm, select OCPBR as your charity, use the iGive button at over 1,800 stores online and they will donate a portion of your purchase to us. Chewy.com www.chewy.com/rp/6131 Make your purchases through this link and as a first time customer, (one per household), our organization will receive a donation from Chewy for $20.00! Ralph’s/Food 4 Less/ Foods Co. www.ralphs.com register online using your rewards card number and select OCPBR (NPO #83947) as your charity non-profit. Then every time you shop with your rewards card they will donate a percentage of your purchase to us. Dog Park Publis hing is a company that will offer you everything you have ever wanted for yourself or your dog. 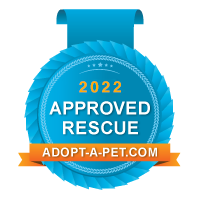 They are proud supporters of rescues and the Pit Bull breed. Show your love for the breed by purchasing a unique Pit Bull themed item today! Follow this link and OCPBR will receive 10% of the proceeds from your purchase! Personalized Pet Urns– It’s always heartbreaking to lose a member of your family, your canine best friend. Personalized Pet Urns is a beautiful way to remember your loved one. An edited image of your pet is fired onto your choice of urns and is glazed permanently upon the surface. They also offer personalized Pet Memory Pendant Necklaces.